Will you donate a gift card to my organization's silent auction? Our general policy is that we do not donate gift cards or auction items. We are a small local bakery, and while we would love to support all the wonderful charities in the area, we can’t afford to do so. We do sometimes offer a small non-profit discount for events if they also promote our business, please contact us to inquire. 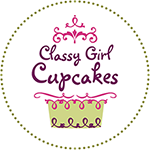 Will you donate free cupcakes to my event? Our general policy is that we do not donate cupcakes or other products. We are a small local bakery, and while we would love to support all the wonderful charities in the area, we can’t afford to do so. We do sometimes offer a small non-profit discount for events if they also promote our business, please contact us to inquire. We also offer a fundraising program as a way to give back to our community while covering some of our costs. If you think your event would benefit from our bake sale fundraising program, please contact us to inquire about reserving your date. How does your bake sale fundraising program work? Please visit our Fundraising page for more details about our fundraising program. We do support a select few local charitable organizations, chosen for the high quality work they do in our community and significance to our owner and staff. Our sponsorships include the AIDS Resource Center of Wisconsin (ARCW), AIDS Walk Wisconsin, the Marquette University Law School Public Interest Law Society, and Your Choice Drug Prevention Education.